The long bamboo sticks produced with the bamboo sticking machine are a tool for handling food. The main purpose is to string together the food, which is often used for satay skewers, kebabs, or various street snacks. The bamboo stick is made of bamboo, hence the name. When eating some street snacks, such as the popular bagged snacks in HongKong, you can use two bamboo sticks together for chopsticks. 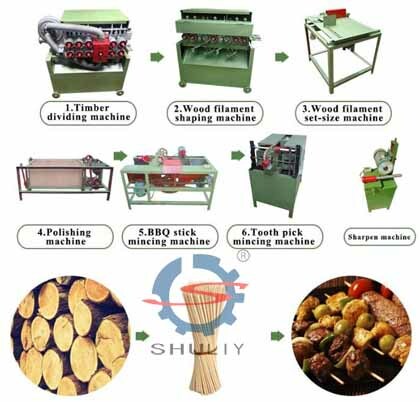 Use a quality bamboo stick machine to produce quality products. 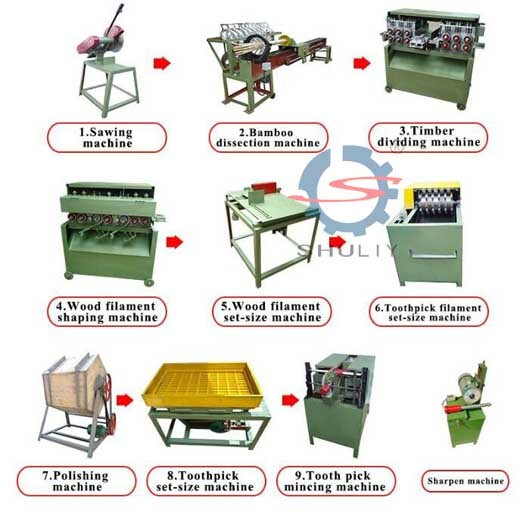 If you are a professional manufacturer of toothpicks, if you are missing a machine, you can contact our toothpick machinery manufacturer!Our company still have other toothpick machines, food bamboo sticks making machines . If we have what you need, if you want to know more about our products, you can also inquire. Previous Previous post: Where to By Toothpick Making Machine ?